I have been a huge fan of Canadian shelter mag House & Home since I first got my hands on it while living in New York. That is one thing I miss terribly about the city - my neighborhood newsstand sold all the best international design magazines. Luckily the iPad makes most of them extremely accessible and I now have a yearly subscription to H&H, which is where I read about Michael Angus, designer and owner of Angus & Company, an interiors shop in Toronto which he lives above. 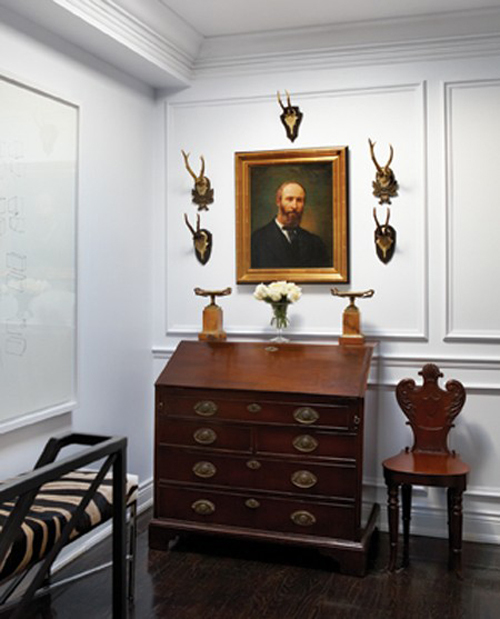 The home has a great mix of antiques and contemporary pieces and the artwork is amazing.